BY ANTOINETTE TERRANA – More than 200 Blue Shield employees volunteered their time and equipment in two separate events to help bring more than 1,000 children in Oakland a step closer to having the play-filled childhood they deserve. Earlier this month, we joined forces with Oakland Housing Authority, Oakland Housing Authority Foundation and KaBOOM! – a national nonprofit dedicated to bringing kids balanced and active play – to build the children in West Oakland area a safe playground where they can be physically, mentally and socially engaged. The playground design was inspired by drawings from the very children who will be using the structure. Oakland City Councilmember Lynette Gibson McElhaney visited the site to encourage the volunteers building the play space and remark on the impact it will have on the children and community as a whole. We also worked with the American Heart Association (AHA) to give students at Lincoln Elementary School more than 750 pieces of recess equipment to promote healthy activity. Blue Shield employees made donations as part of Recess Reboot – AHA’s program focused on bringing physical education equipment to kids in need. 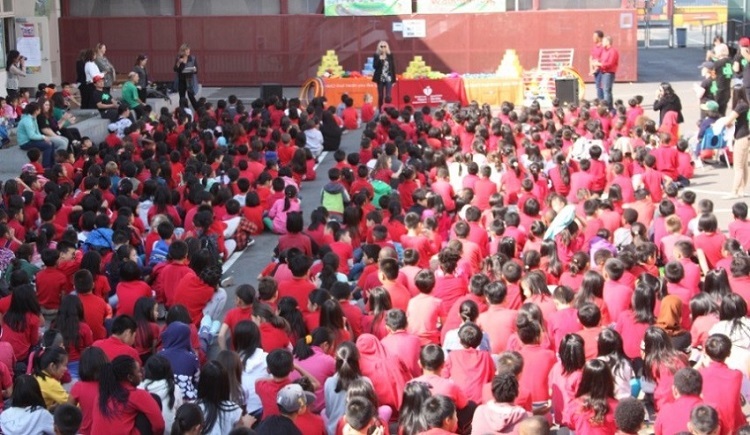 Lincoln Elementary is a public K-5 school serving more than 700 children in downtown Oakland, also located near Blue Shield’s soon-to-be headquarters. Ensuring access to equipment and a safe place to play is essential to a child’s physical health, as well as their cognitive, social and emotional development. The AHA recommends that children engage in one hour of daily activity. Unfortunately, two-in-three don’t meet this recommendation. Blue Shield employees are helping to reverse that trend in the communities where we live and work. Earlier this year, we announced that we are moving our headquarters to downtown Oakland in 2019. While we remain committed to San Francisco and the community that we’ve been a part of for more than 75 years, we are excited about making new roots in Oakland and having a positive impact throughout the Bay Area. 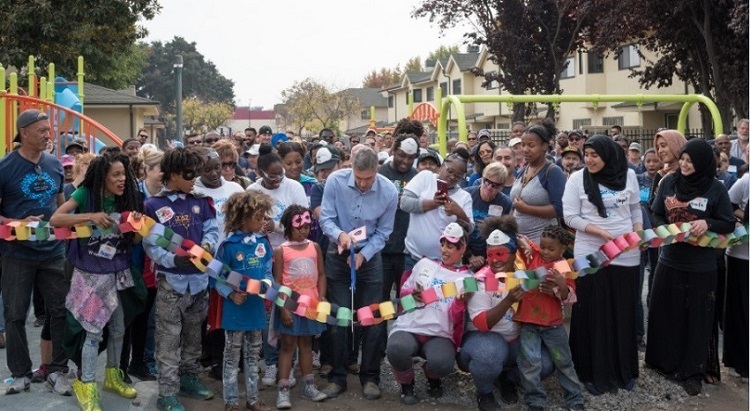 Together with the community, we are making it easier for all kids to get balanced and active play and contributing to a more playable Oakland.